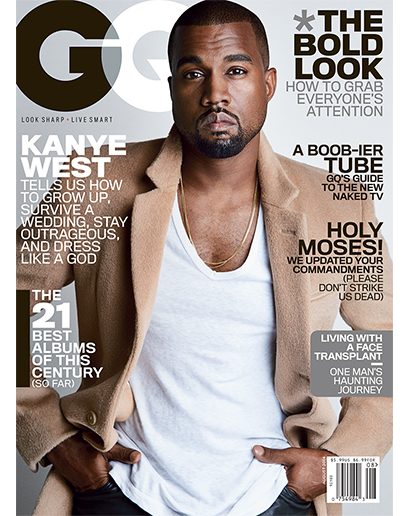 Yeezy is definitely a man of style, the 37 year old rapper covers August’s issue of GQ Magazine for a second time. Although GQ has not released any highlights from the interview Kanye chats about how to grow up, survive a wedding, staying outrageous and dressing like a GOD. Looking poise in his white tee, gold chain and tan jacket we can already tell this is going to be a good interview. (Its very rare Yeezy does an interview). Currently Ye’ is reportedly in Puerto Vallarta recording his album. West too was added to the “Budweiser Made In America” Festival in L.A, where he will also headline the Philadelphia concert on August 30. Magazine hits stores July 29.